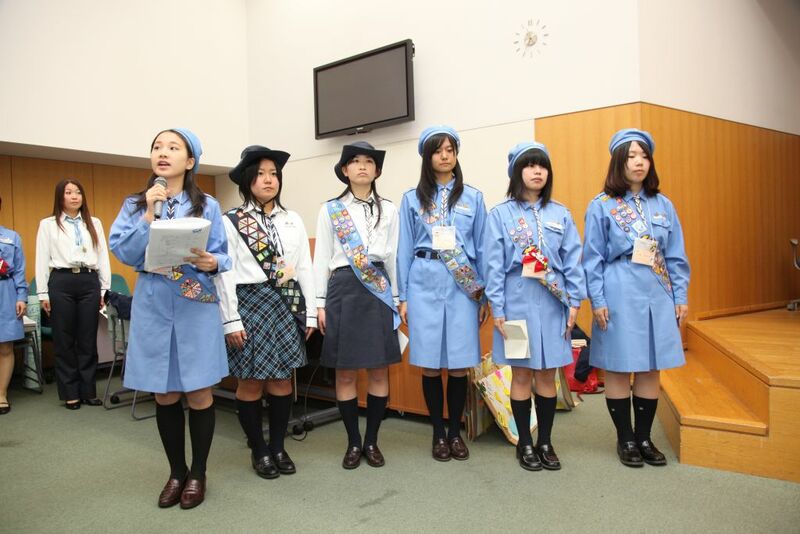 2013年10月18日Girl Scouts of Japan vow to Japanese Prime Minister Shinzo Abe. 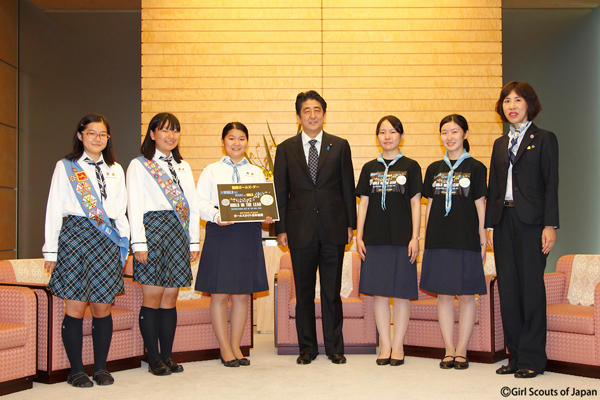 Five Girl Scouts visited Japanese Prime Minister Shinzo Abe today, celebrating the second International Day of the Girl. Girl Scouts of Japan has launched “Girls in the Lead, Girls Creating Future for Japan” campaign yesterday, promoting girls to take lead in society and change the country better for all girls and women in Japan. 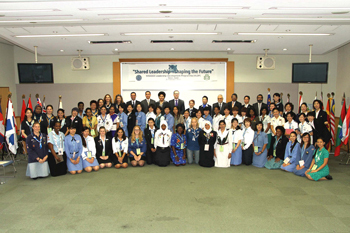 WAGGGS and the Girl Scouts of Japan is hosting a WAGGGS Leadership Development Programme (WLDP) in Tokyo, Japan from 2-7 October 2012.